This is what is on my design board - St. Louis 16 Patch quilt blocks. Blocks are not yet sewn together. I have been moving them around to find the best arrangement. Now that I have uploaded this image I am not quite sure I have it yet. If I switch the 3rd block in the first row down one and the 2nd block in the 4th row switch it one up this would position the blocks with coral being in every other block. Please feel free to weigh in on this! Hubby came in to my quilting studio as I was standing and pondering. Overall he thinks it looks too busy. So I went on a search hunt for St. Louis 16 Patch blocks in Pinterest - even created a separate board for them. Check out the St. Louis 16 Patch Board here. Some are more organized and some are just as wild as mine. I think I will titled it the "Wild Flower Garden." While prettying up the images on picmonkey I played with different colors for the frame borders to get a feel for the best color for binding. Most of the fabric colors have a certain amount of gray in them so I am leaning towards a blue gray or green. I love the pattern instructions for this block as created by Sew with Sass by SK Burton Designs! It is almost fail proof especially when it comes to matching seams. Look how nice the back side of each block turns out. So neat! 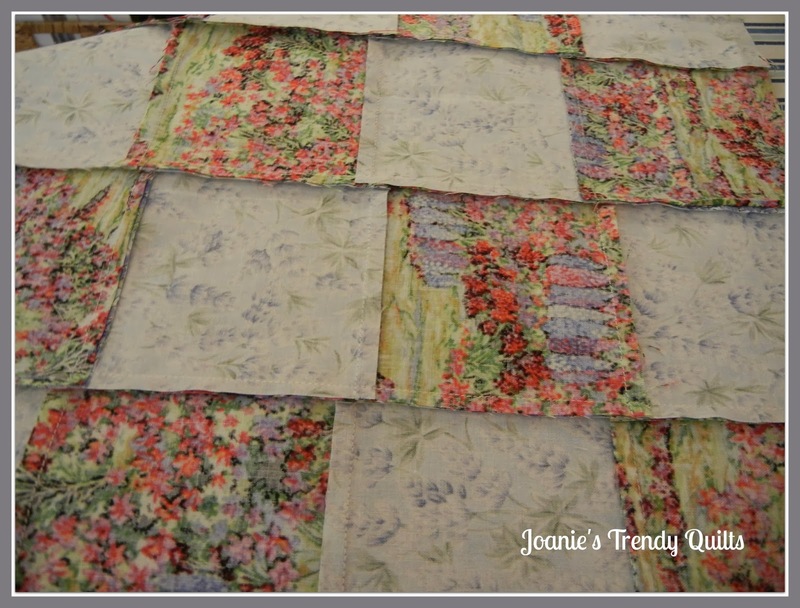 How many line quilting designs can one come up with? It just happened - very improv! The only thing I am concerned with as I go along the quilting is becoming more dense. 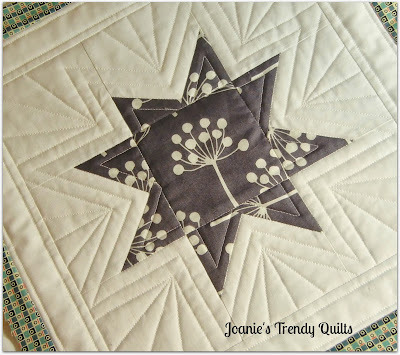 Don't you love this wonky star with the fussy cut center? This little star was outlined and then broke out into rays of lines. It was a giveaway won at 627 Handworks, sponsored by Julie Hirt, during Sunday Funday giveaway party. Squeal! Look at how it was packaged with bright colored block tape on the outside of the envelope. The wonderful Aurlfil thread was wrapped in brown paper with blue and white twine. Even her business card is a wonderful expression of her creativity. Can't wait to use the thread. 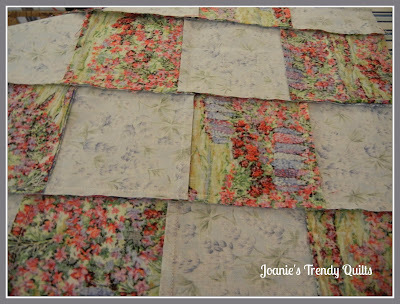 If you haven't already seen Julie's Lattice Bones quilt you must go check it out! It is a Wowser! Wishing you a great weekend and upcoming week! Great stuff, Joanie! I love your quilting! They fit your blocks so well. I like the setup for your St Louis 16 Patch. It looks nice to me! I think you could move them around in so many variations. So hard to decide on just one setting! I'm going to check out that blog about the perfect seams. I need that! I would break up the coral blocks, not lump them together. Try alternating between coral and other color. If the coral is too much, hit your stash and make a few more blocks and drop the border so you can break the color up a bit. You know I will always go scrappy! Your star blocks just keep getting prettier! Lucky you! I LOVE quilting with Aurifil. 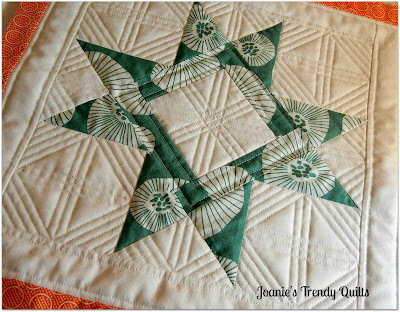 Love the quilting on your star blocks, just fabulous! Congrats with the Aurifil thread! Lovely colors. 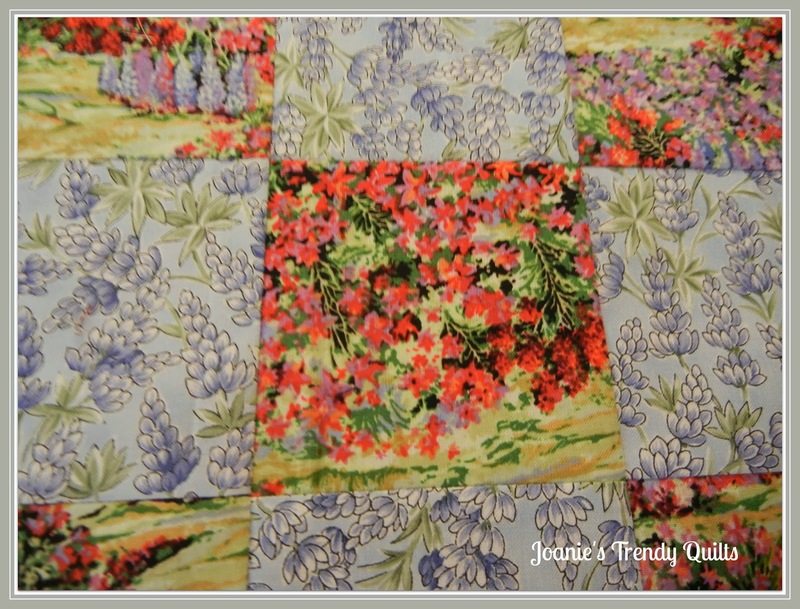 Beautiful quilting on the stars block! I would break up the coral blocks too! Love to see your quilts finished! I love the wonky star. I'm going to be trying one of those soon. And the back of that quilt is so neat! I will not be showing the back of the one I'm working on ... seams going every which-a-way! I'd break up the coral as well. Alternating might be more balanced. Love those star blocks! Your stars and the quilting are gorgeous. the quilting on your stars looks amazing, and the colors in your St. Louis 16 patch are so bright and fun! 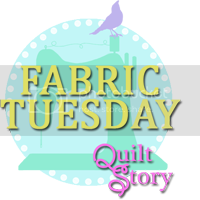 and I'm so happy you linked up with Needle and Thread Thursday! thanks! I really love the last star! So cute! Fussy cutting that center block really made it pop! Congrats on the win, Joanie! Don't you just love a smooth, flat back of a quilt top? What a great idea, using picmonkey to test out binding colour using frames for the pictures! That's brilliant! I like the gray binding. Great job on the star blocks quilting, too! Great blocks and love your star! Congrats on a wonderful giveaway alos!! I absolutely love the line quilting in your star blocks! I think straight line motifs are under-appreciated in the quilting world. They can really make a block pop. Your quilting is awesome, so creative!!! Yay for the threads win! 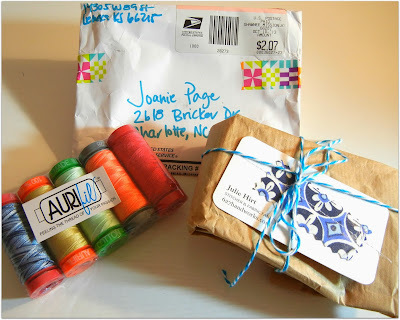 I would like to try some Aurifil to see if i like it as much as the reviews i have read. 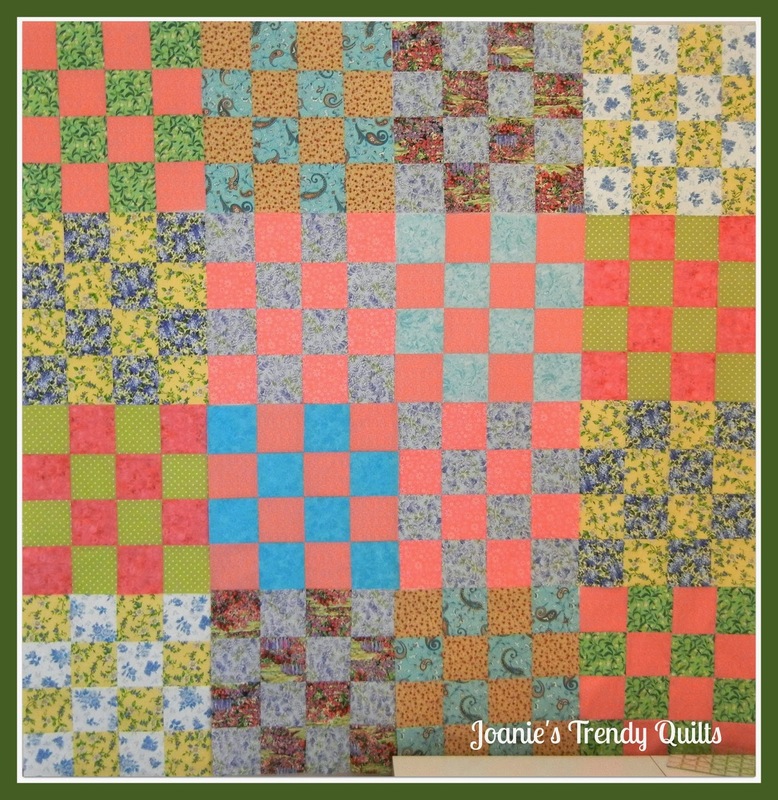 The quilting really brings those blocks to life! I love the straight line quilting on the stars! So cool. Your star blocks are gorgeous and the quilting is amazing. Like everyone else commenting here, your quilting around those stars is sublime. Those starts blocks looks great! I think I would distribute the coral a little more too. The line quilting is fantastic. Visiting from Needle & Thread Thursday.